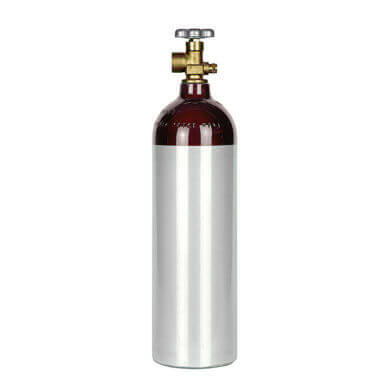 New 40 cu ft steel CO2 nitrogen cylinder with a professional-grade finish and heavy-duty, thick-walled steel construction. Work-ready tank with great capacity and portability; ready for any mixed inert gas application. 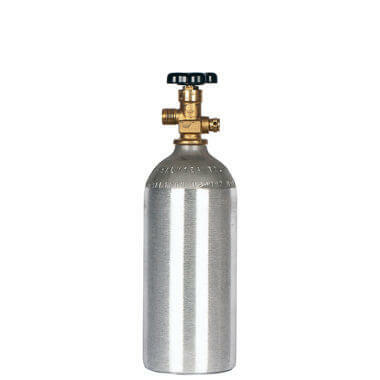 New 40 cu ft steel CO2 nitrogen mix cylinder with installed new CGA580 valve. 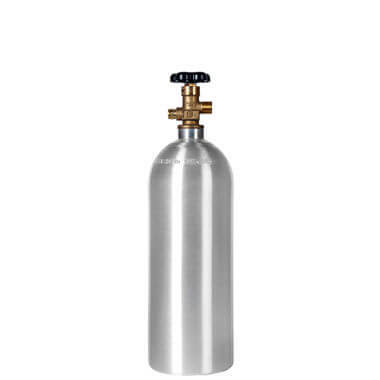 A bigger but still affordable alternative to our 20 cu ft steel CO2 nitrogen mix tank.